growing up, my great grandmother kept a small track of land behind her apartments littered with dandelions. she had a plan, I had a dream, others had a problem. the problem – weeds. messy, ant filled, weeds that invaded the grass, and spread to contaminate any space that would host them. the dream – crowns of woven stems, perfect enough for any princess attire, and if you could resist picking them, a field of ripe wishes ready to be made. the plan – wine. when my great grandmother got around to picking them, or most importantly, when she harvested enough – she made wine. thinking about that small plot of land got me thinking about how people see the world. i remember it as large, always full of color – yellows, greens, and of course, the highly anticipated white. i spent hours singing and dancing on a stone stage, digging and baking mud pies in the sun, daydreaming and blowing my wishes into the future on the wings of fluffy, little white seeds. i played on, what in reality was, a small patch of land covered in weeds and broken concrete slabs. my great grandmother was a business woman. she saw opportunities and capitalized on them. buying the parcels of bank owned land during the depression, she was able, like a game of monopoly, to control her own side of the board. she owned the land, the apartment buildings and surrounding houses – on a few streets. she also owned a store. she was strategic. she created our world. in reality she neglected this small patch of land. it didn’t bring rental income, or help sell a dress, and wasn’t fertile enough for a garden – so no need to invest in it’s upkeep without a return. as it stood, she made the most of the situation with the least investment possible. our perspectives were obviously so different. however, neither of us saw a problem. we both saw opportunities. i have come to realize, this meant our mindset was also the same – one of abundance. we both made the most of the situation and saw play instead of problems. i was 4, and even at 84, i believe she also viewed the world through a beginners mind. possibilities were endless and there is always a solution. we played. we created our own realities. we also created our own happiness. i saw wishes – she saw wine! WE ARE ALL CREATING OUR WORLDS THROUGH OUR THOUGHTS. 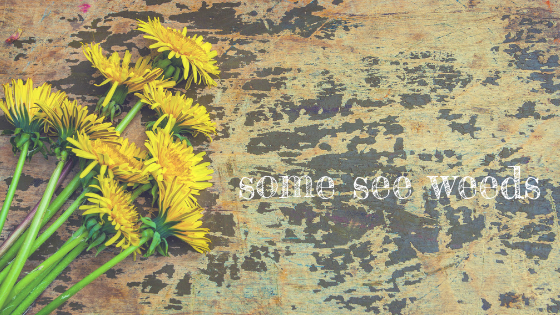 WHEN CONFRONTED WITH DANDELIONS – WHAT DO YOU SEE? I love this story…..it makes me want more! Loved it! Sometimes we see the most beautiful things when we stop looking at only the things we should find lovely, and start opening our eyes to the beauty that can be found in everything. Artwork, curriculum, stories, food, friends everywhere – you name it – and I have stories to go along with it! It is a beautiful, chaotic, messy process most times, but that is the beauty of creativity, and I thrive in the process. 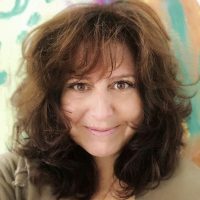 Teaching others to thrive as creative beings is my passion. Whether it is in the classroom teaching children, building curriculum or training teachers, writing stories, or developing learning platforms – they all are created to help others build their soft skills of an abundant mindset.